Chateau Montelena, a Napa Valley winery, has completed a series of upgrades to the winery’s property and cellar. The winery has been owned and operated by the Barrett Family since 1972. During the past decade, Chateau Montelena has excavated new hillside tunnels to barrel age wine, installed a new estate-wide solar power system, developed an estate vineyard replanting program, and completed a cellar retrofit and seismic upgrade. Some major upgrades to the estate include: Cellar Retrofit with Seismic Upgrade – 2011; Vineyard Replant and Historical Status – 2011; Chinese Pavilion Rebuild – 2010; Solar Installation – 2007; Private Residence Remodel – 2006; and Wine Ageing Caves – 2000 and 2010. The cellar improvement project, which began over a year ago, was completed on 24 August. A seismic upgrade of the stone Chateau was clubbed with installation of a high efficiency chiller package, sophisticated must delivery system, advanced lighting and tank controls. Numerous small fermentation tanks for emphasis on precision winemaking were also installed. 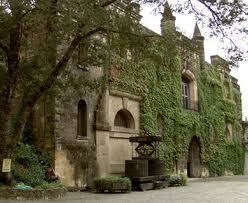 The cellar will be open to the public on select Chateau Montelena tours, and will accommodate special winery events.